Go wild swimming on the dart!!! Spitchwick – a great place to swim, with pools and rapids. It had large grass picnic areas too! Walking – walk through Holne, cross straight over the cross roads. Turn left at the T junction; there is a footpath on your right about 20 meters down this road. When you reach the road go over the bridge and take the next right. Driving – drive through Holne, cross straight over the cross roads. Turn right at the T junction, take the next left. Go over the bridge and take the next right. Sharrah Pool – a 50m channel of crystal clear water flanked on either side by large smooth sunbathing rocks. 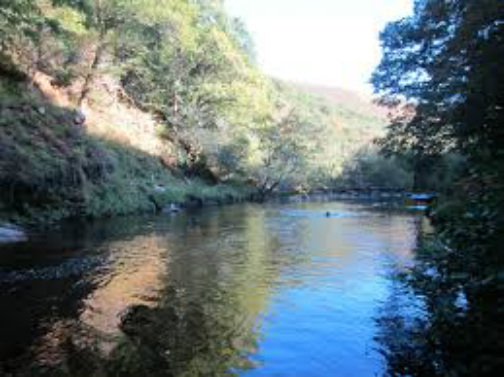 You also enjoy a walk through ancient woodland to reach this secluded swimming area. Walking – although it is a lovely walk, it is quiet difficult if you are not experienced at navigating on the moor, so more suited to experienced walkers. Hexworthy Bridge – a nice shallow pool for children to paddle and there is also lots of fish to be seen! Driving – go over the bridge at the bottom of the road; turn left at the T- junction. Follow signs for Hexworthy or Princetown. You will go over the bridge and see the pool on your left.